Gemini Forest Products has been working with the Steel Mill Service Industry for over 30 years. We carry a full line of cut to length sizes for various applications. Universally recognized Heat Treat Stamping allows for the use and shipment of lumber to various countries across the globe. 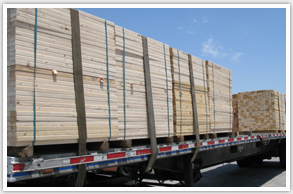 We offer same or next day delivery by truck to Steel Service Centers across the West Coast. Gemini Forest Products has been working with the Steel Mill Service Industry for over 30 years, which gives us the knowledge & ability to provide our customers with the most competitive pricing.